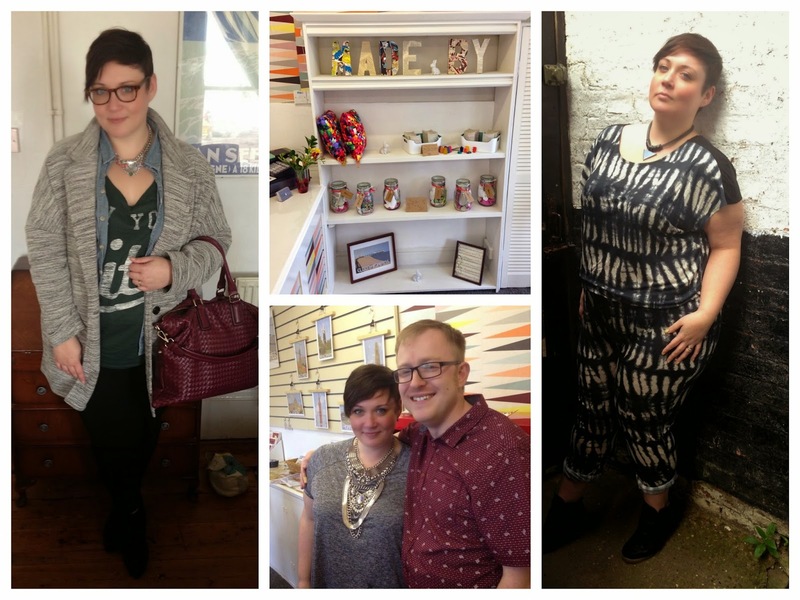 It's always nice to reflect on ones year and ones achievements (hahaha I sound like the bloody queen) anyway, what I'm trying to say is, it's not been too shabby actually, and I thought it would be nice to look back! January and I was blonde! There was some rather pretty dresses, the blue number from Evans and the floral one was part of the Claire Richards collection for Fashion World. 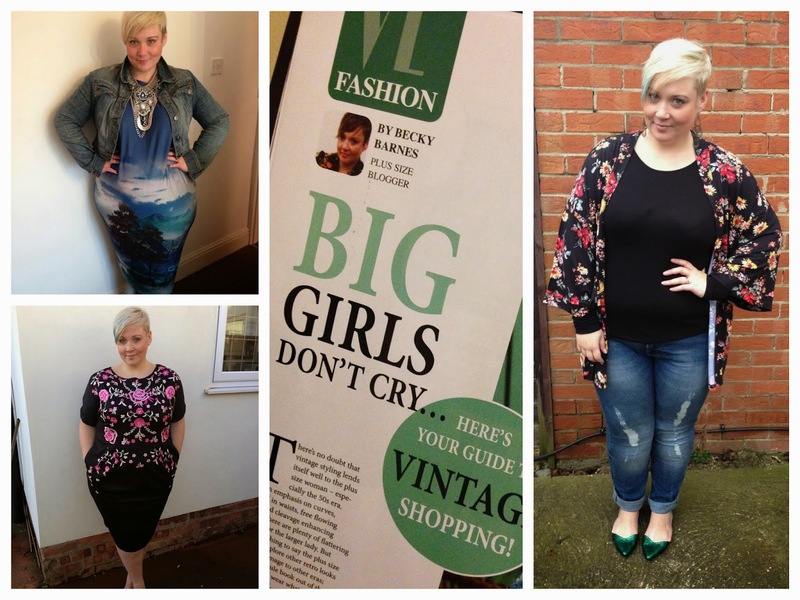 I was mega proud to have an article published in Vintage Life and I was rocking my BeBe uniform of jeans and a kimono! 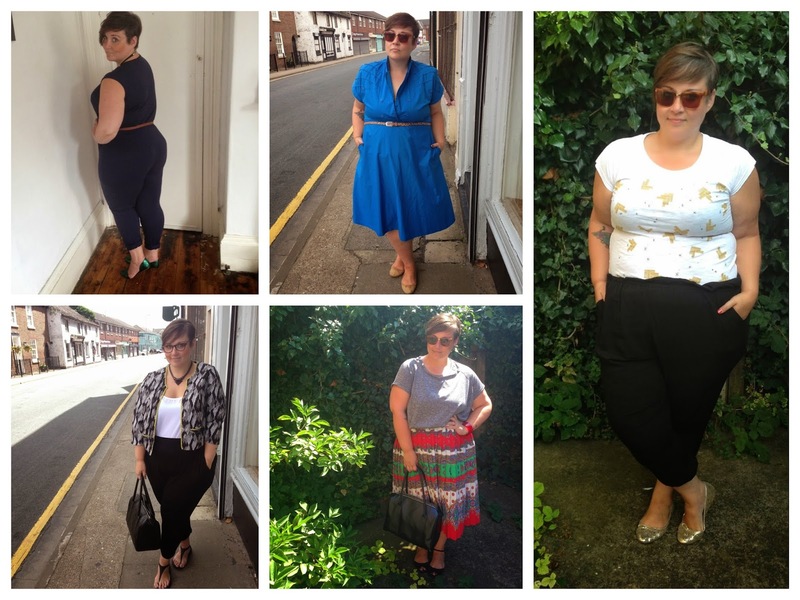 In February I was getting all excited about my holidays and trying on some swimwear including the popular "fatkini" and the old barnet went back to brown! 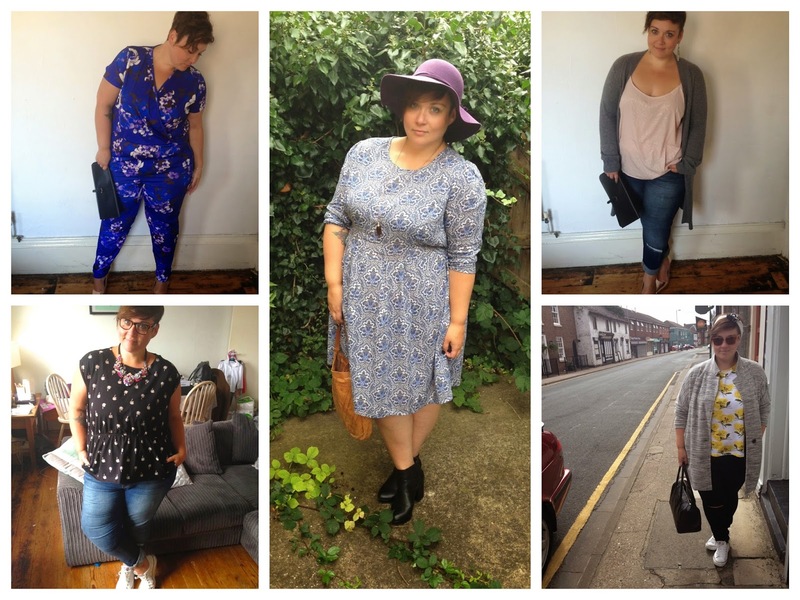 There was a hint of pastel creeping into my wardrobe in March ready for spring, and I was baring all in my undies, the first time I had gotten out my "bottom belly" as Michael calls it, i.e. I wasn't wearing something high waisted! 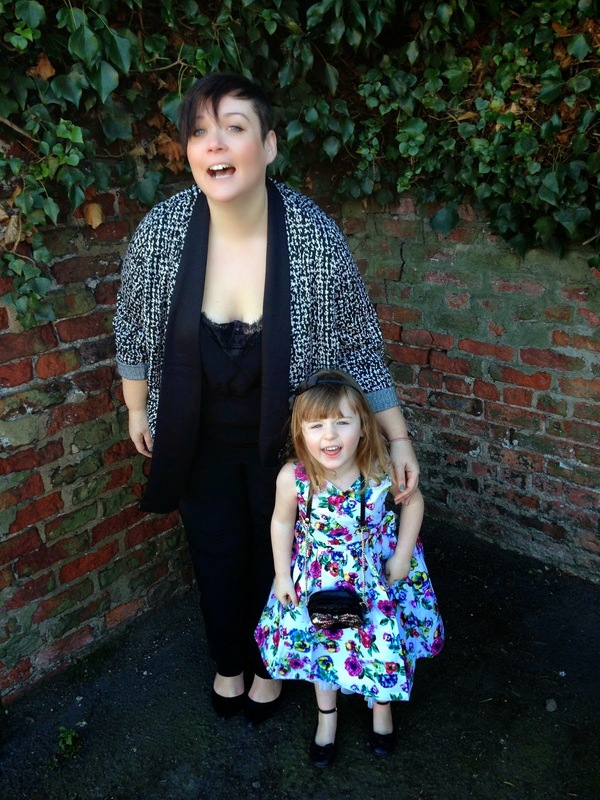 March was also host to mothers day and my little mini me got to play "fashion" in a post with Simply Be. 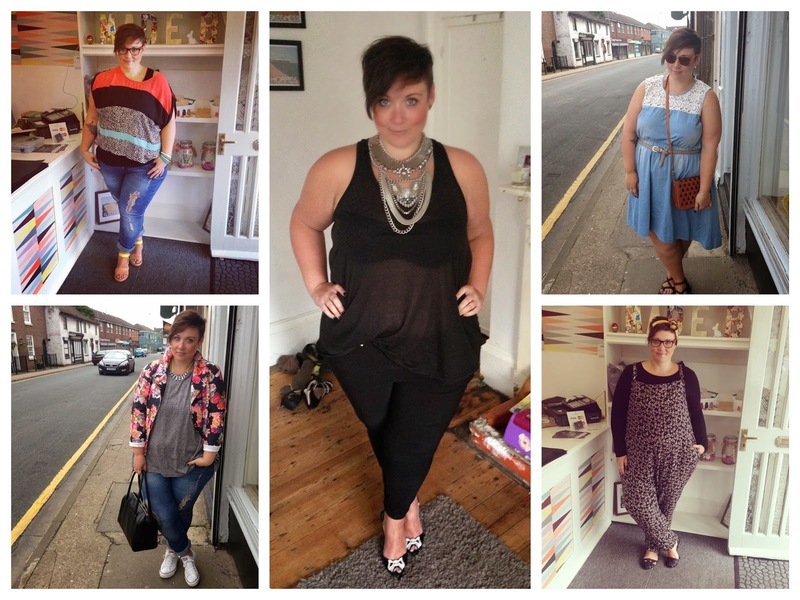 April was about conquering the layered look and cracking out the beloved jumpsuit again. And on a personal note Michael and I opened the shop. We are so very proud of our little venture Made By! "Will my little girl look back at our holiday and think "gosh my mummy was so fat, why did she wear a swimming costume?" or will she look back and think "I loved holding my mummy's hand and jumping off the side of the pool, building sand castles and being wrapped up in her arms when I got out of the sea". I know it will be the latter. Don't let your lack of confidence stop you making memories. Life is too short to sit back and watch other people have fun." In June, I shot for an article in Cosmo and for a swimwear campaign for Yours Clothing. It was a pretty cool* month really! July was a stellar month. My cosmo article came out which I'm incredibly proud of, you can read it here. 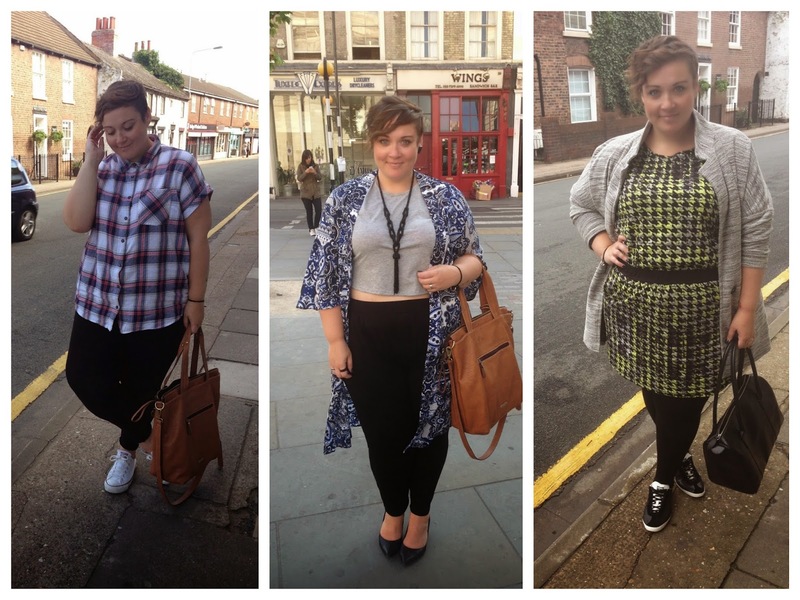 I think August was one of my favourite months for outfits, so much cuteness! 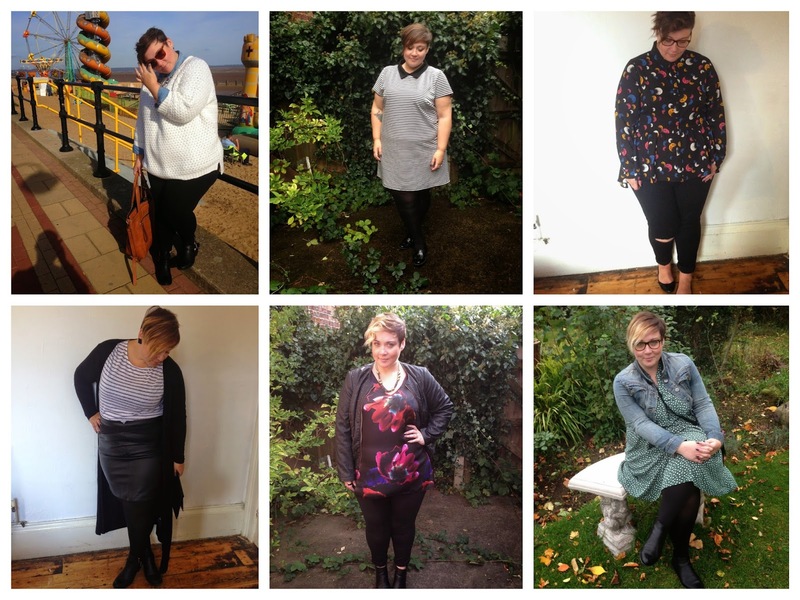 September was all the fashion for me. Not only was it Plus North month but September saw the first plus size catwalk at London Fashion Week courtesy of Evans and it was truly glorious! October was surprisingly still quite sunny (yey!) 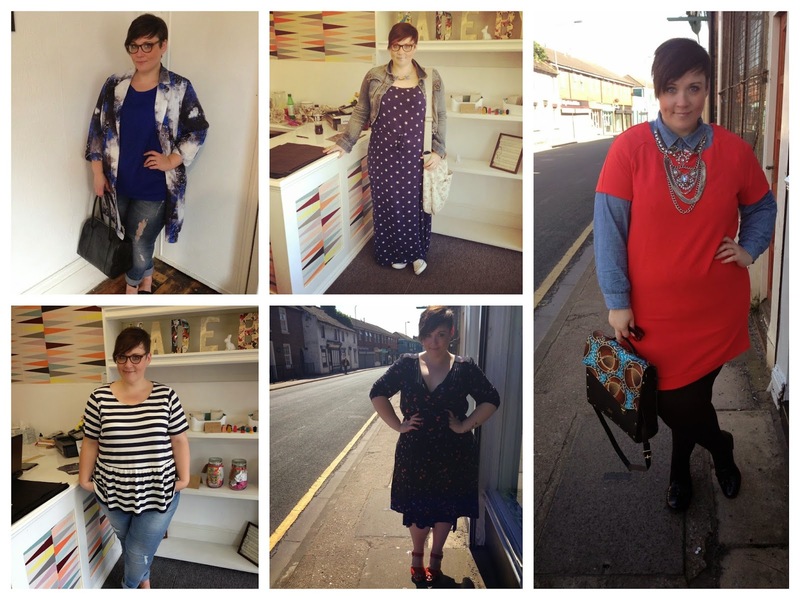 and saw the launch of a new plus size line at Wallis and Michael and I took a little break in the Yorkshire countryside. 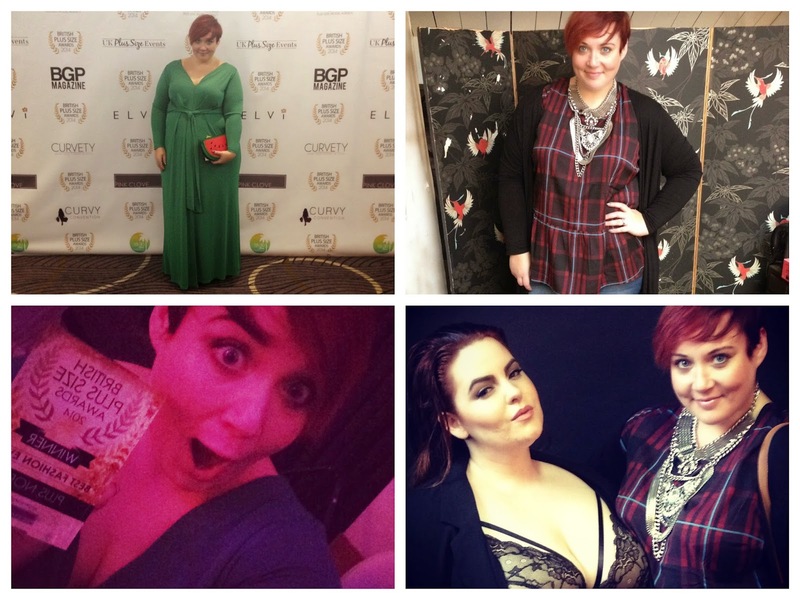 November was all about the Plus Size Awards and Tess. Plus North won best event and I got to work on a shoot with the one and only Tess Munster. Ah December, birthday month, sparkly, twinkly Christmas month. So there you have it! That was a bit epic wasn't it? I didn't mean for it to be so long! What a year it's been! I say it every year, and I truly mean it - thank you for all your support, your lovely emails, comments, shares, likes and general loveliness! I'm looking forward to the year ahead, here's to 2015! Cheers gang! If you follow me on twitter you might know I suffer from a lot of stomach problems. I have done since I was a teenager really, which leads me to think they are linked in-part to my hormones. Since having the gastric bypass nearly seven years ago and my gallbladder removed 4 years ago they have worsened to the point that I am in crippling pain at some point, most days, and I can't leave the house without some imodium, buscopan and painkillers. I've been under the care of a specialist for nearly a year now and I'm having some tests and procedures done to rule out anything like Crohn's for example as I've also been experiencing fatigue, joint pain, nausea, dizziness and a whole host of other symptoms, the doctor is sure I have IBS aggravated by my surgeries and has advised that I try the FODMAP diet, which I've kind of been putting off. 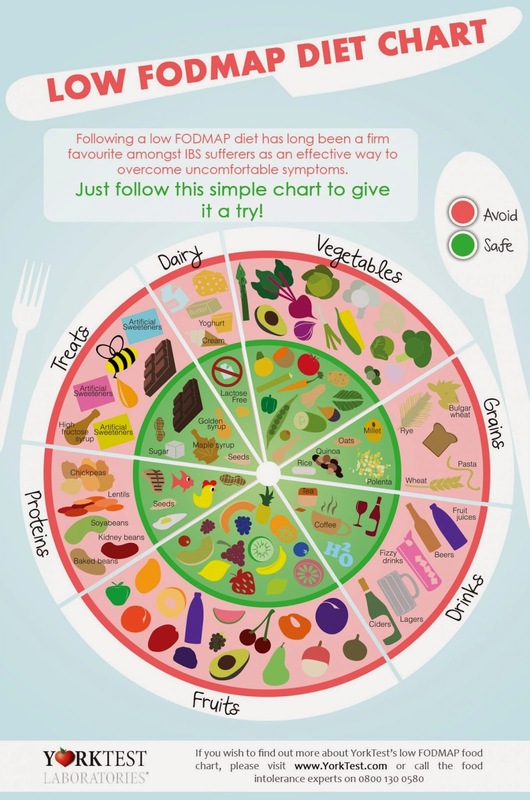 FODMAP stands for Fermentable, Oligo-, Di-, Mono-saccharides and PolyolS which are the names for molecules found in food, they are thought to aggravate IBS symptoms, and by adapting a low FODMAP diet you can help your digestive health. As someone with a history of eating disorders the thought of any ordered eating plan scares me, regardless of its potential benefits to my stomach health. I guess I'm scared about getting too involved in it. If I do happen to lose some weight on it (which is a possibility with any change to eating habits) I'm scared it will undo all the positive steps I've taken to embrace my body and the love I have for myself. On the flip side I'm scared if I don't quite stick to it, I'll be very hard on myself, which will too, be very damaging. But I guess what I have to keep in my mind is that this is for the health of my stomach. This is to help purely with my pain and hopefully alleviate it somewhat. I was just wondering really if any of you have had experience with it? If you have any top tips, if you found it helpful, that kind of thing? I've started a little pinterest board, which you can see here, it's still in its early days, and I've followed a few twitter accounts too. Do you have any helpful resources at all? Hello! How are you all? 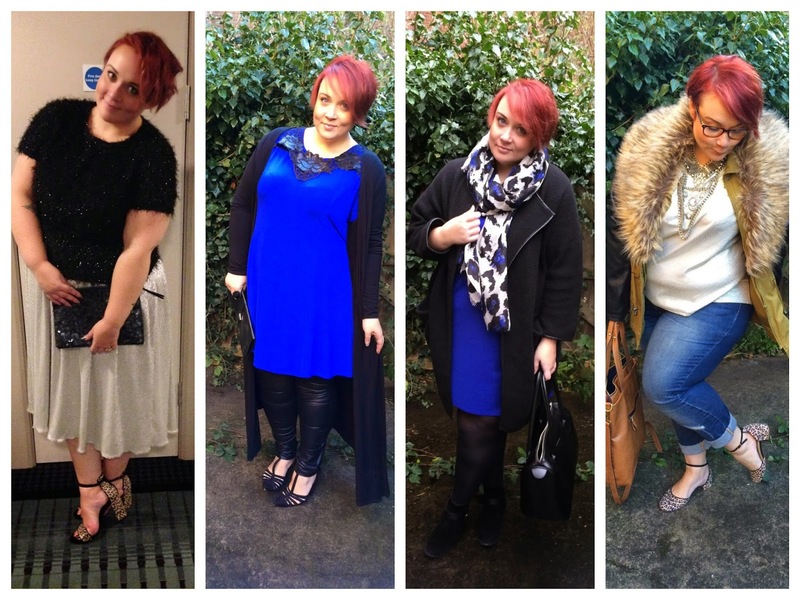 It feels like an age since I blogged which is a very weird feeling for me, I've been doing this nearly four years now at least three times a week, so when I don't it's so strange! As you know, I don't really celebrate Christmas in the traditional sense or the religious sense, but I do like taking a day to exchange presents and eat nice food with my family. I mean that's pretty nice isn't it? 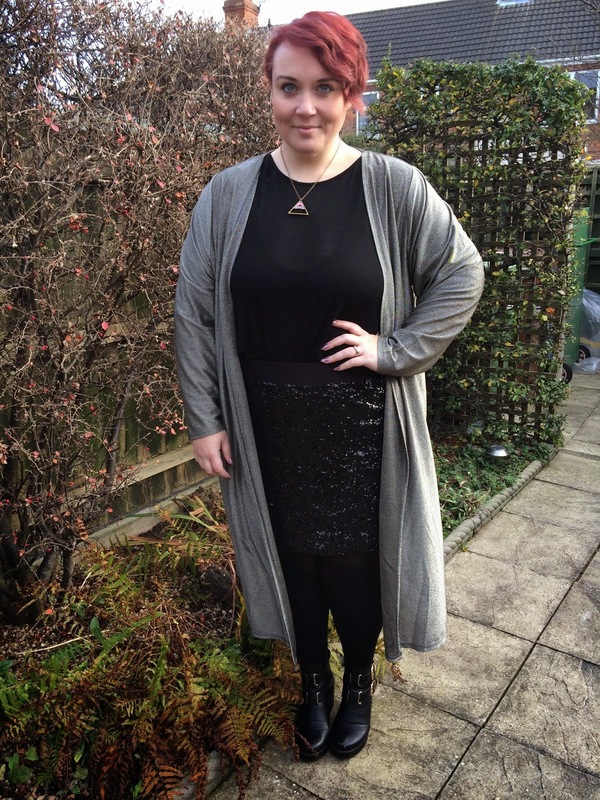 So last Thursday we headed to my folks house for lunch, I decided to wear a little bit of festive sparkle for the occasion. Everything is elasticated because of ALL the food consumption obviously, but there's a nice dose of sequin and metallics thrown in for good measure. 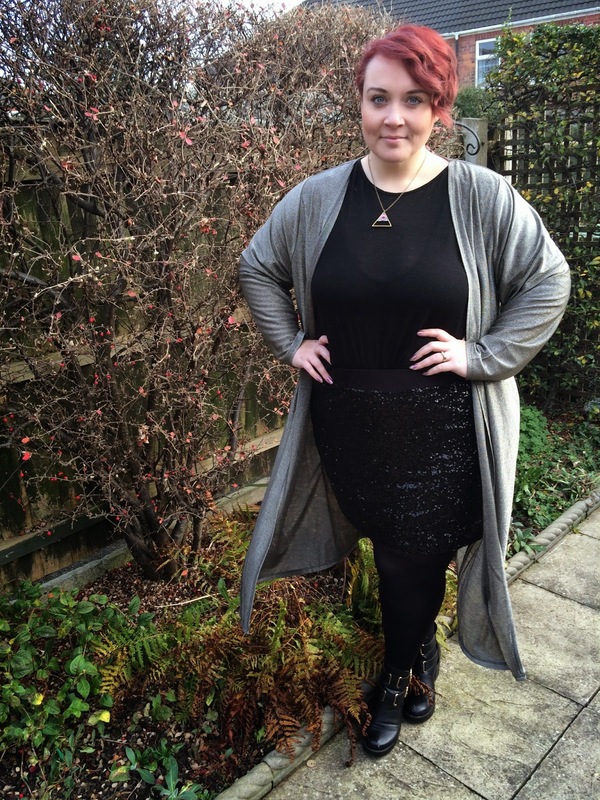 The skirt is past season JUNAROSE and the metallic cardigan is from Evans. It's just £20 in the sale now. I'm wearing the 22/24, I think I should have sized down because the sleeves are so baggy, but I do love it regardless. I have to admit, I only made it to 2pm before I put my pyjamas on, but that's not bad going! I got through Lunch at least!! If you're a bit eagle eyed you might have noticed my necklace. It was one of my presents from Michael. It's from an indy brand called Mica Peet who I fell in love with and would like to basically own all of the collection! I hope you all had a wonderful day, whatever you got up to. I've got a very poorly baby and husband at the moment, so if I go quiet again you know why! 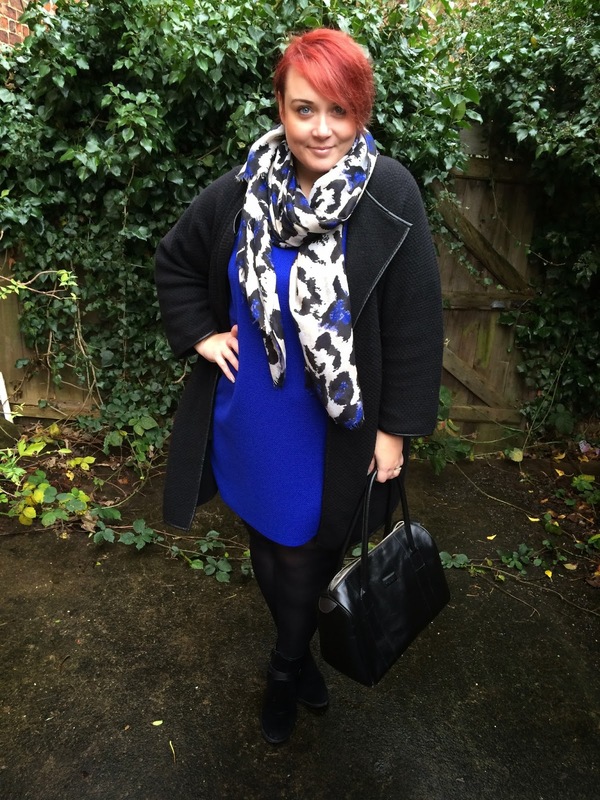 Yesterday I spoke about dressing super casually, which is really what I do best. But obviously there are times that I need to or indeed want to look smarter, but as I have pain issues with my stomach and joints and sensitivity issues with my skin, comfort is massively important for me. I tend to wear a lot of jersey and soft fabrics, nothing too scratchy and if it's structured it has to have stretch in so I can have ease of movement. I find that I buy a lot of things with the best of intentions, but if I feel uncomfortable in them, they stay in my wardrobe. 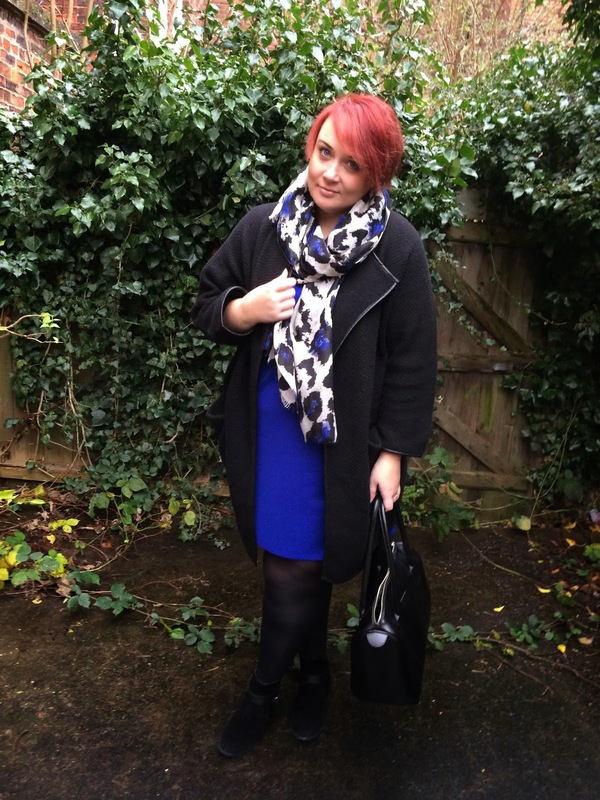 This particular outfit is a perfect example of my smart casual uniform. 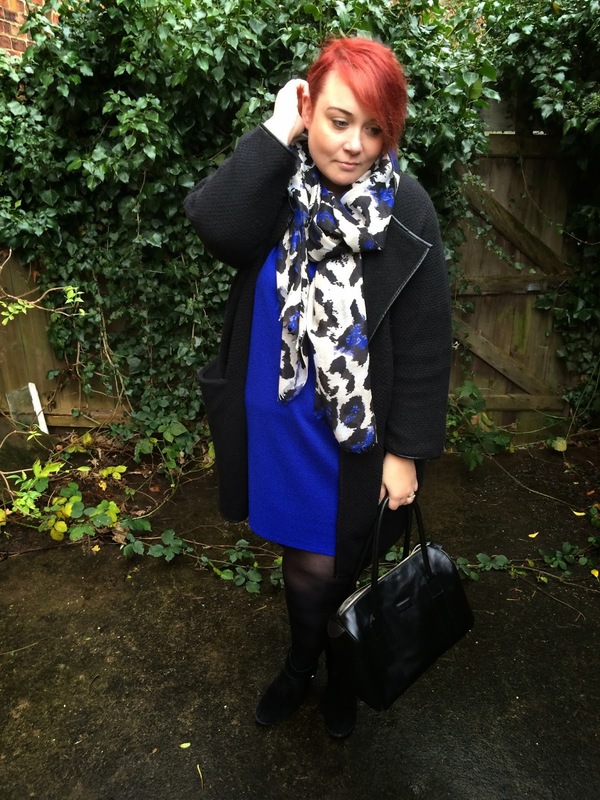 I tend to buy my tights from Marks and Spencer, I've found them to be the most comfortable and hardwearing and easy to pick up in a hurry (I live about five minutes from my local M&S). 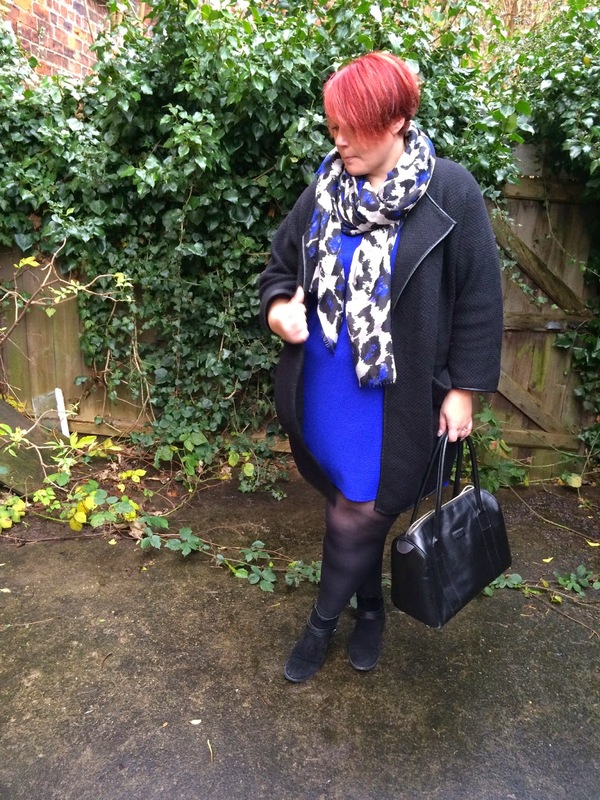 The dress is a simple tunic style I bought from George at Asda early in the year. It's a lovely waffle textured fabric and the bright blue colour is so nice. I tend to wear a lot of scarfs, especially in the winter. I picked this one up from TK Maxx a couple of weeks ago. 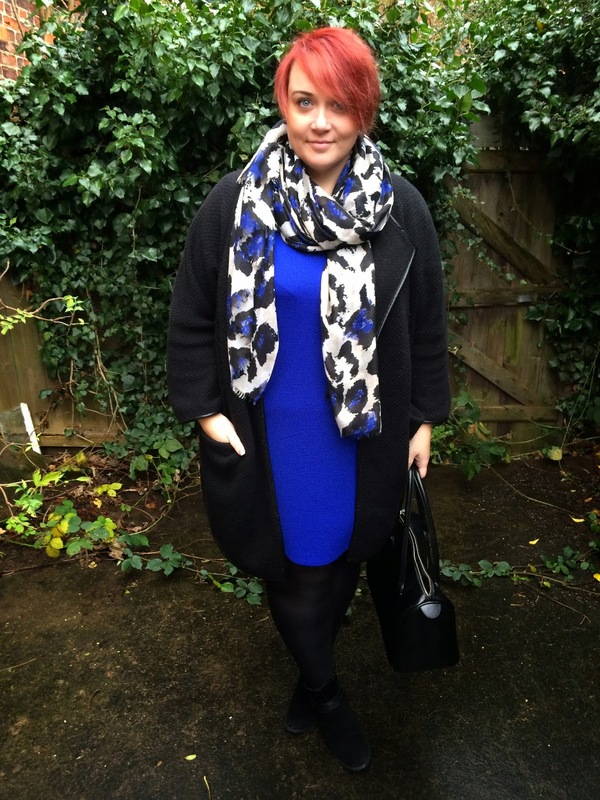 I absolutely love leopard print and this blue and black take on it is gorgeous. 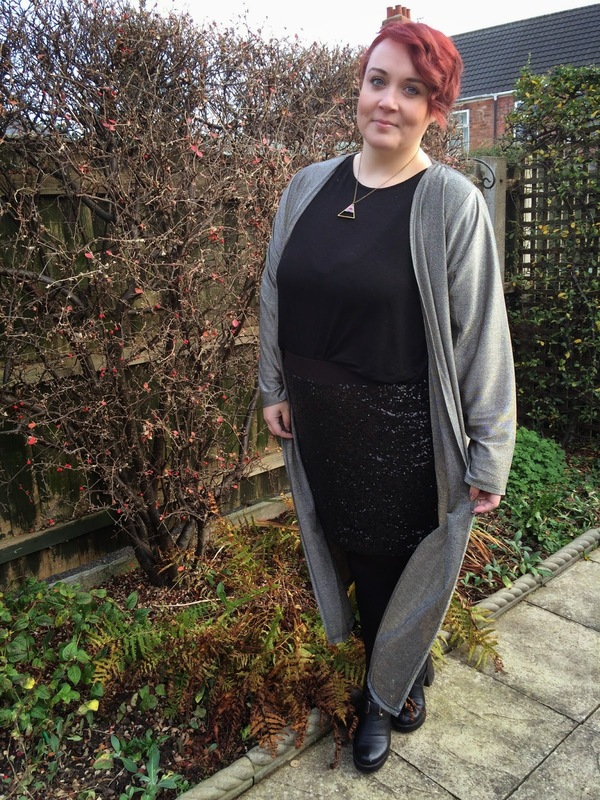 I'm also wearing this gorgeous coatigan from ELVi, they very kindly sent it to me as a birthday gift, I already own it in the orange, which is gorgeous, but the black is going to be even more versatile, I'm in love with it already! This is probably my last post before Christmas. I'm going to take a little break, probably just until boxing day, so I just wanted to take this opportunity to wish those of you who celebrate, a very merry Christmas and enjoy the day. For those of you who don't, I hope you have a nice Thursday! As I do every year, I'll be popping a list of helpline contacts on the blog, just in case you're not having the best of times over the festive period, which of course I'll write a little bit about too. But for now, I hope all is well and every one is coping with what can be a very testing, exhausting time of year.